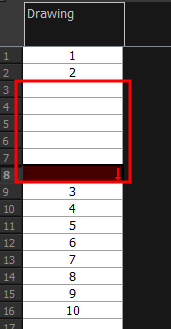 ‣ Right-click and select Exposure > Insert Blank Cell. 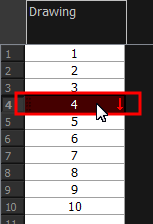 ‣ In the Timeline or Xsheet toolbar, click the Insert Blank Cell button (you may have to customize the toolbar to display it). ‣ Press Shift + J. 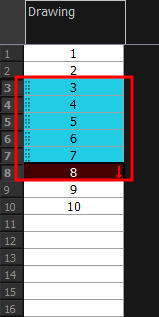 In the Xsheet view, select a frame range to clear.